You’ve seen him before. He’s the soft-spoken guy painting happy clouds, mountains and trees in about twenty-six television minutes. His “Joy of Painting” program is the most recognized, most watched TV art show in history. 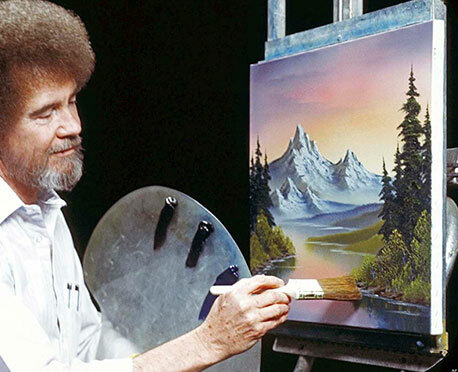 Learn more about Bob Ross and his wet-on-wet style of landscape oil painting.